The Magazine promoting Scandinavian lifestyle, travel and business. Scan Magazine is a unique English-language showcase for Brand Scandinavia and appeals to all those who have a relationship with or a connection to Scandinavia – be it through family, business, tourism, migration or investment. Besides our growing fan-base of ex-pats and valued business associates, this magazine is also for all the non-Scandinavians around the world who simply love Scandinavia: its vibrant culture and lifestyle (and in particular its design) which flourishes abundantly all over the globe – and the marvellous tourism of its homelands. 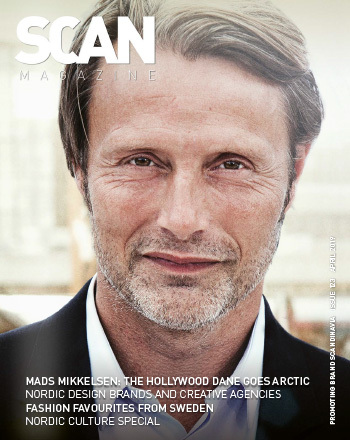 Scan Magazine is distributed through a number of Scandinavian hotspots in the UK, Germany, The Netherlands, The United States and Scandinavian countries.